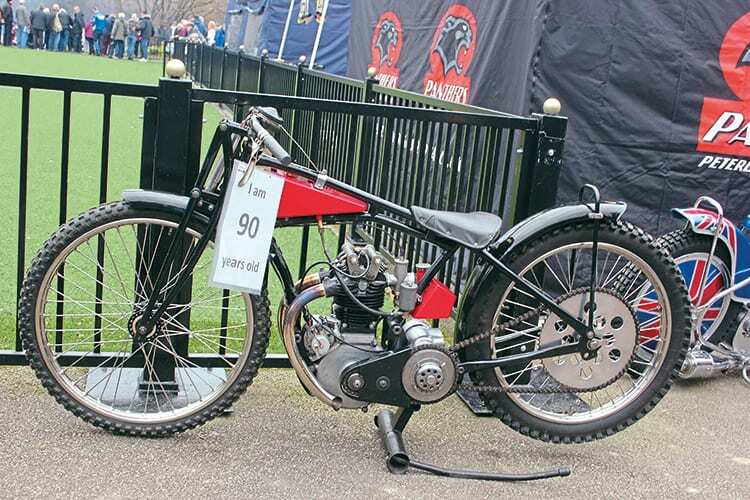 Apparently celebrating its birthday – a 1928 Dirt Track Rudge. 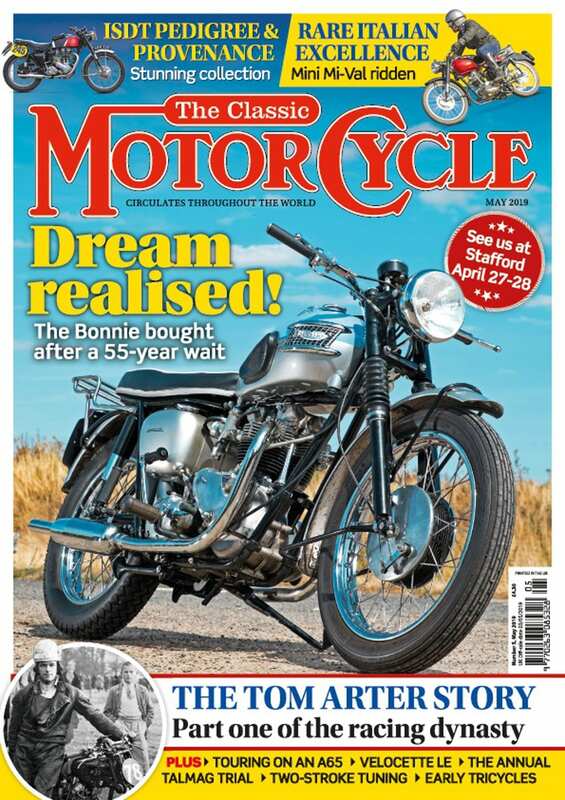 An attraction helping to publicise the popular Isle of Wight speedway – a superb trio of early JAP-powered bikes, their histories a ‘work in progress’. 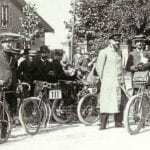 It is generally accepted that February 19, 1928, is the date when the inaugural meeting of oval track racing in this country took place, behind the hotel at High Beech in Epping Forest. The big ‘sell’ was the new Australian import (‘Dirt Track Racing’) enabled spectators to see an entire event from one vantage point. Now, 90 years since that first meeting, speedway has a lot of history. 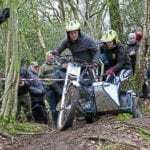 For many years the anniversary was celebrated at High Beech, but the regular venue more recently has been the Museum of Speedway, within Paradise Wildlife Park, Broxbourne, a zoo run by Peter Sampson, a former West Ham speedway rider. The day is unashamed nostalgia. 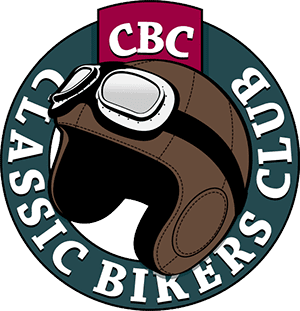 It brings together many former riders to meet old team-mates and rivals, enthusiasts get the opportunity to meet and talk with heroes. 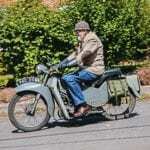 This year there were bikes everywhere, powered by JAP, Jawa and Weslake, while examples from Rudge and Douglas were to be spotted too. As well as displays of memorabilia, a number of current speedway clubs also supported the event. 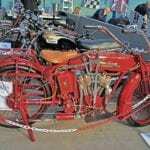 Every hour, on the hour, the fire-up area saw various bikes persuaded into life. 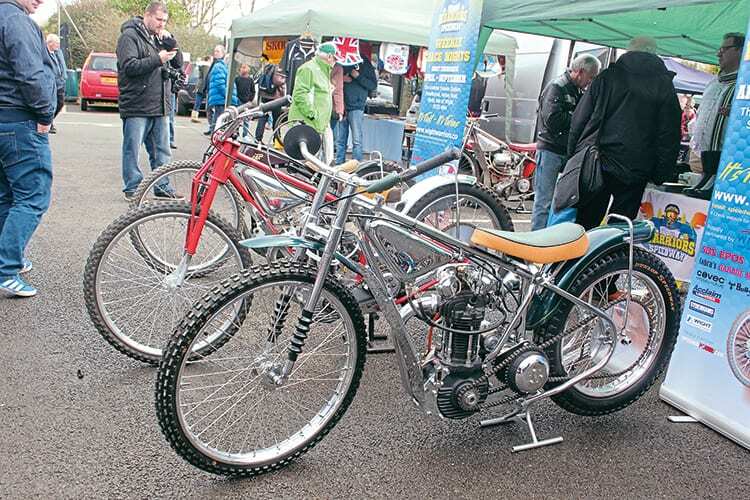 Each time there was a press of onlookers keen to experience that distinctive aroma of methanol (‘dope’) and castor oil, the essence, in every sense of the word, of the speedway tradition. Many famous faces were plucked from the crowd for interview and during the day the 2018 President of the World Speedway Riders’ Association was announced. 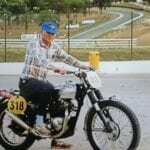 This year, it is Kelvin Tatum MBE, nowadays a TV speedway commentator and voice of authority after an impressively successful international racing career. An even more illustrious rider was celebrated with the opening of an Ivan Mauger tribute section of the museum. The celebration also saw a couple of book launches. The irrepressible Bert Harkins was busy signing his biography, ‘My Crazy Speedway World.’ Long-time Hackney Hawk rider Barry ‘Thommo’ Thomas was unconvinced his biography ‘ThommoHawk’ would sell many copies and was suitably amazed when his entire stock vanished in less than an hour.